This listing is for 1 Pony Silhouette Mini Banner. Super Sweet! This is ideal for hanging from the highchair, on the wall behind the highchair, on the entry door, on a table, or as a photo prop. The center will say: "age" with the pony silhouette image on each end. Each Triangle is 3.6" across the top and from the top to the bottom tip of the triangle is 3.5". 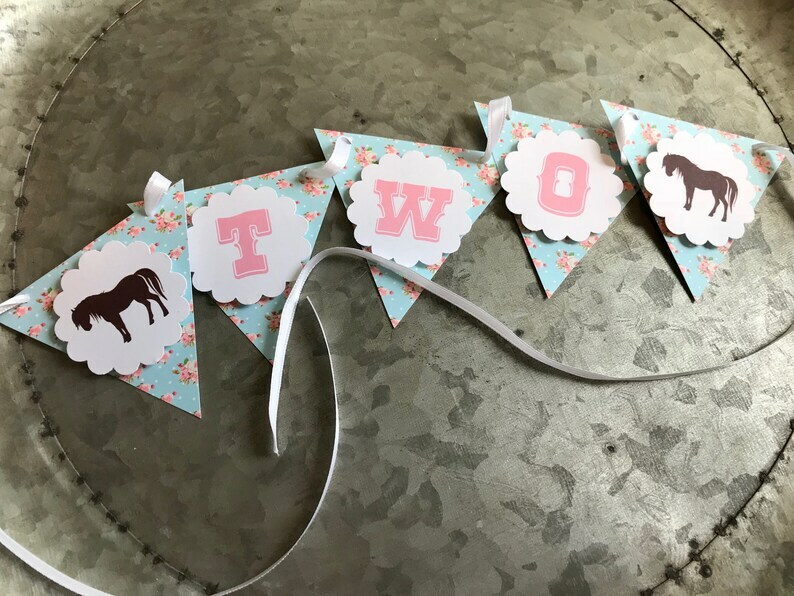 This banner was a sweet touch in our pony party decorations.